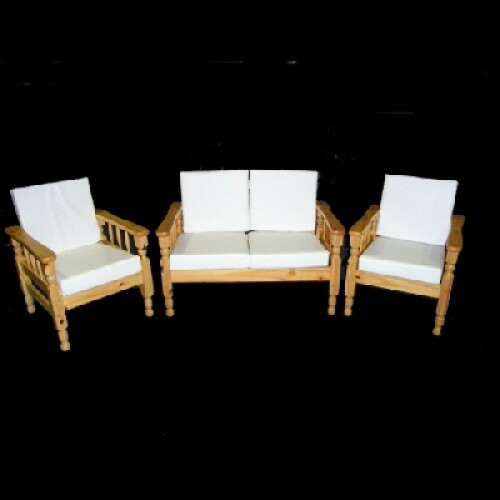 This Studio Pine Suite is ideal for Office, Conservatory, Patio, Waiting Room, Kitchen etc. 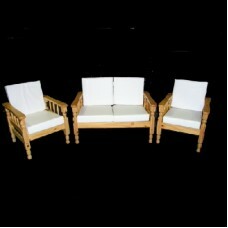 The Pine Suite includes 1 x 2seater and 2 x 1 seater plus the 8 cushions. The Pine Suite has a solid chunky pine frame with 'wipe clean' vinyl cushion set in cream, (Please note: Image shows Mustard coloured cushions)which contrasts with the honey pine beautifully.